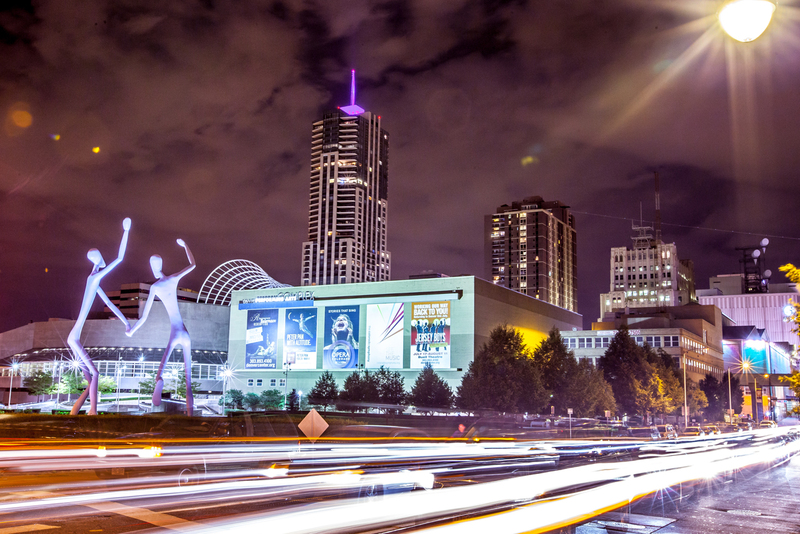 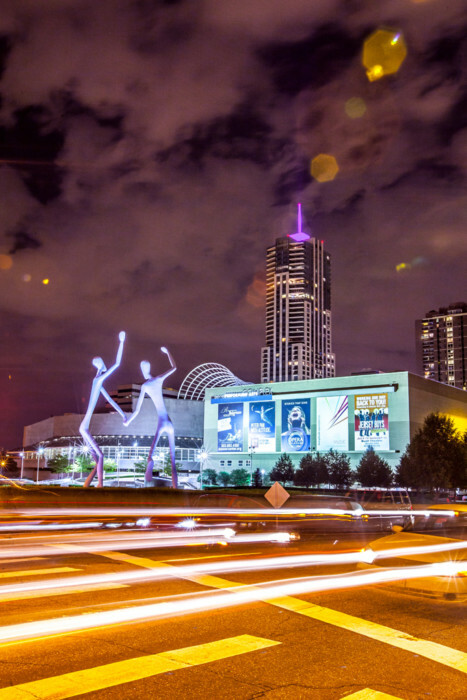 Denver’s Performing Arts Complex is located in the heart of the theater district. 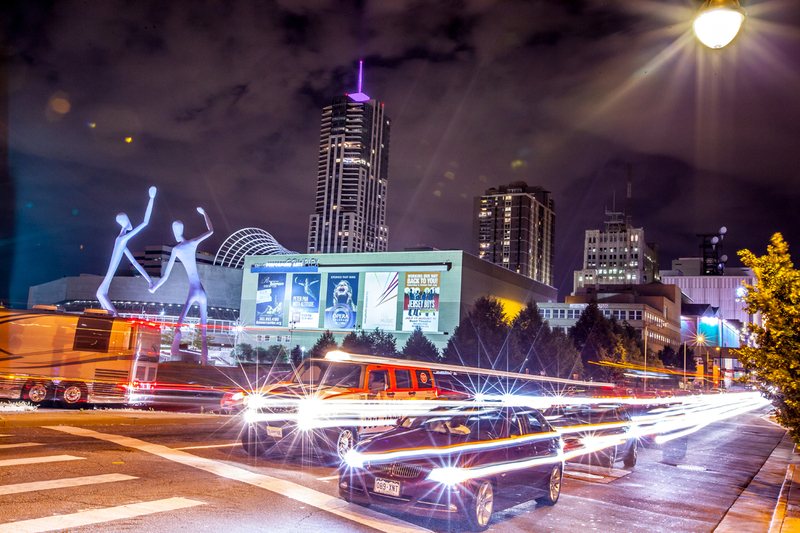 The complex is residence to some big names in performance art like the Colorado Symphony Orchestra, the Colorado Ballet, Opera Colorado, and of course the Denver Center for Performing Arts. 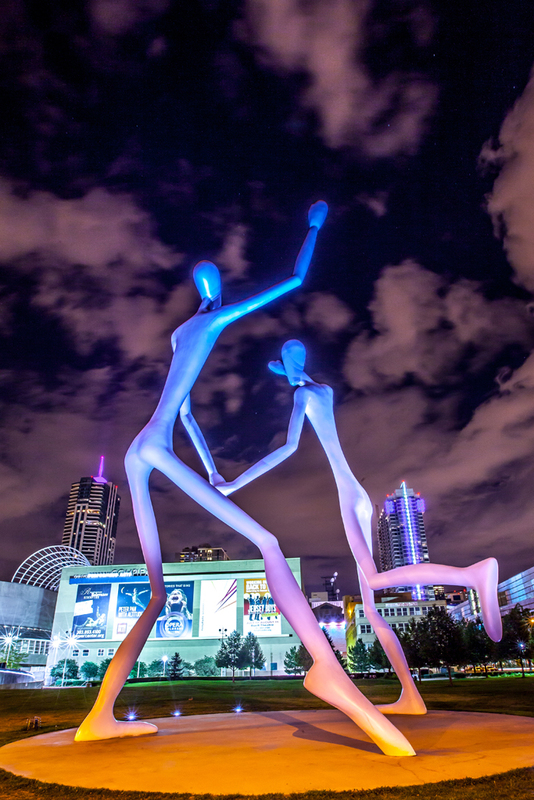 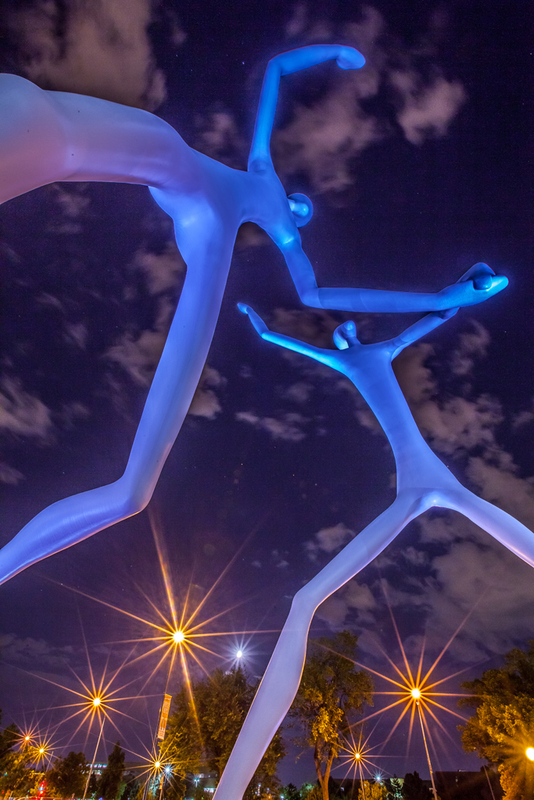 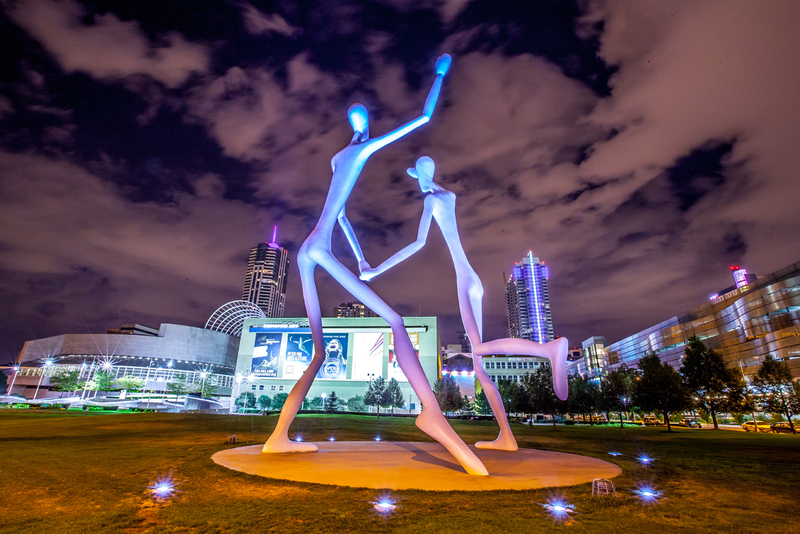 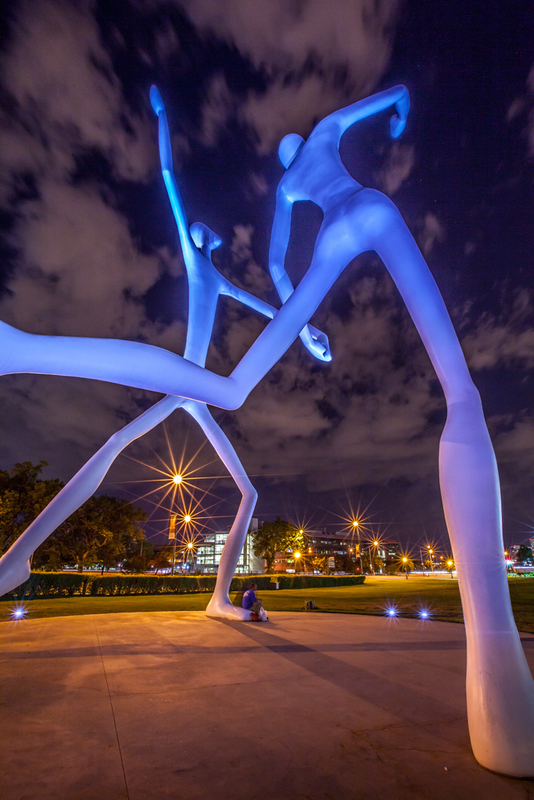 The massive dancing sculptures have always beckoned me, and on this warm July night I payed them a visit.